This is of course a Bond movie and a decent one at that. 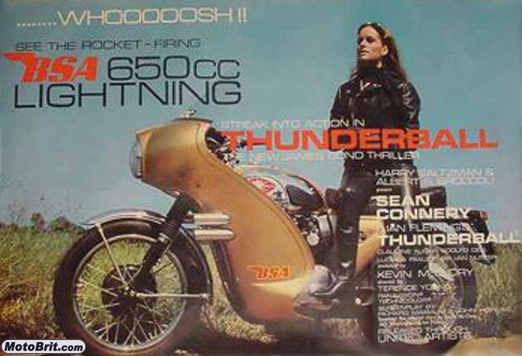 It's enjoyable as a bond movie with Tom Jones singing the theme song, but we are more interested in the tricked out BSA spy bike, complete with rocket launchers and the leather clad hot broad riding it. At least I am. The Avro Vulcan bombers are pretty cool too. I believe they still hold some sort of avaition world record.